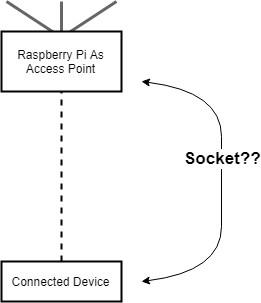 I want to use a Raspberry Pi as an access point that is not linked to the internet. If I connected one other device to that access point, how could I connect a socket between this access point and the device connected to it. If this is not possible with sockets, how else could I transfer data in this way? Browse other questions tagged access-point sockets or ask your own question.